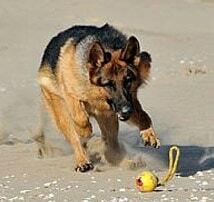 What has prompted you to look into getting a protection dog? Have you already had a security problem and if yes, what was it? Do you have children, if yes, how many and what are their ages? Do you have other dogs or animals at your home? What level of security do you think you require, based on the area in which you live and the type of property that you live in? What other factors do you think might make you a potential target for criminals? 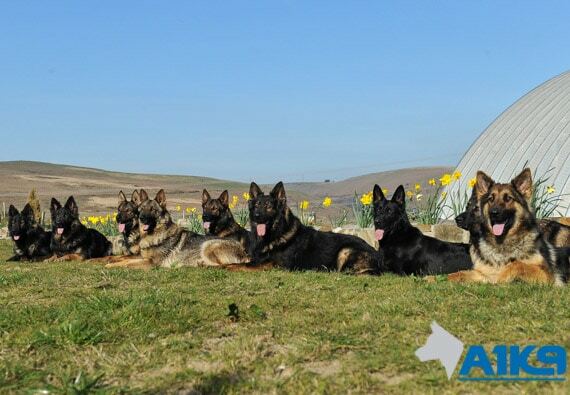 A1K9 Always Have A Large Selection Of Trained Family and Personal Protection Dogs To Choose From and Our Experienced Team Will Show You Dogs Best Suited To Your Individual Requirements. 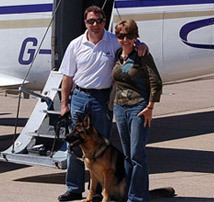 Having ascertained relevant information from a prospective client we will be well placed to suggest possible candidates from the selection of fully trained family and personal protection dogs at our facilities. We usually have a total of 30 dogs in training at different levels at one time, however, our experience suggests that we are normally able to offer a choice of 5 or 6 suitable dogs once we have filtered out some that may not fit in with the certain aspects of a client's lifestyle or may be trained to a higher level than needed etc. Having identified a pool of potential candidates, we usually demonstrate the obedience and protection capabilities of the dogs and allow clients and their children to interact with the dogs; this normally results in certain dogs being short listed by the customer. We would normally suggest that the client takes the remaining dogs, individually for a walk around our facilities so they can see for themselves which dog they feel most drawn to and which of the dogs responds best to them. Often families will narrow down the choice to a couple of favourites by this point and after further discussion, the family's A1K9 protection dog is likely to be chosen. During this whole process, there is much input from the A1K9 team who are on hand to answer questions on individual dogs. Without wishing to sound big headed, we have had much experience over the 20 plus years of supplying trained family and personal protection dogs of matching dogs to their respective new owners, so at A1K9 you are in safe hands and safe paws. Having decided on your future A1K9 personal or family protection dog, a date is made for you to return to our facilities for the mandatory handover training, or for us to attend your home so the training can be carried out at your home environment. We look forward to meeting you and assure you of our best attention at all times, after all, our guarantee is your complete satisfaction!